Come up with a password, they’ll crack it. Program a key card, they’ll hack it. Tie your identity to a DNA sequence and Russian black hats will break into your bedroom while you’re sleeping and steal all your blood. In the end, there’s only one truly unbreakable security measure: Atelerix albiventris, the humble hedgehog. 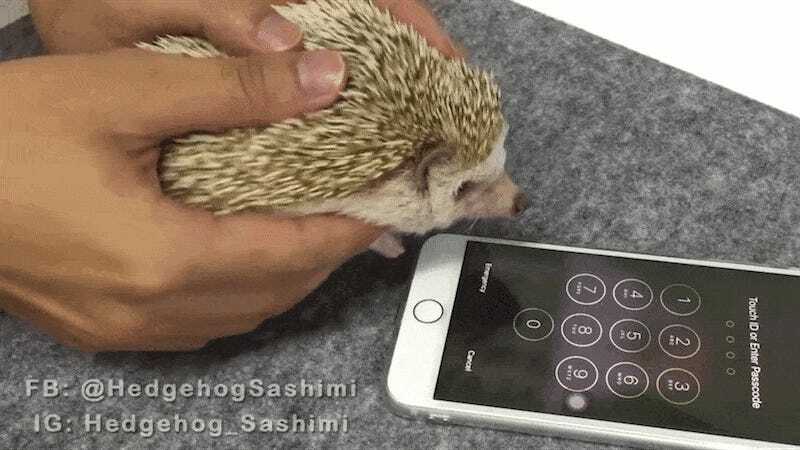 Using the iPhone’s built-in Touch ID feature, a hedgehog named Sashimi and her Hong Kong-based handler recently demonstrated the many advantages of a hog-paw security system. For one, you get to hold a hedgehog. For two, look at those little toes! And sure, it’s little bit harder to set up than a regular fingerprint ID, but is it really worth rushing things when it comes to your peace of mind?